Chicken_Slayer, Hockycko, Lavender, skvee and flew66 earned the Hidden Blossom badge. Congratulations!! You found Blossom in our Spring contest 2019! 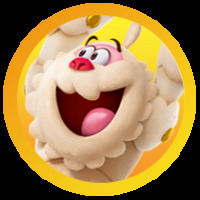 Chicken_Slayer earned the Bubble Witch 1 Expert badge. 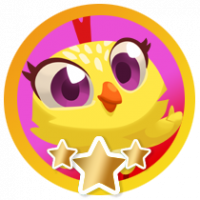 Chicken_Slayer earned the Bubble Witch 2 Expert badge. As a real Expert, you know absolutely everything about Bubble Witch 2! Chicken_Slayer earned the Bubble Witch 3 Expert badge. As a real Expert, you know absolutely everything about Bubble Witch 3! Still no beans and I tried your suggestion.